Made from 18 or 30 bamboo ribs covered with highest quality paper we can print your artwork in full colour process on one or both sides of the fan (artwork charges are calculated separately). Sizes 21 cm or 23 cm when closed. All our fans are made using traditional Japanese folding techniques. The standard lead time is up to 4 weeks depending on the order quantity. Minimum order quantity of 200 fans applies. Price breaks for up to 1000 fans are indicated below. (Artwork charges are calculated separately). Prices start from just £3.99 per fan. Artwork to be provided in AI, PDF or high resolution jpg format. Minimum order quantity of 200 fans applies. Please contact us for a quotation! 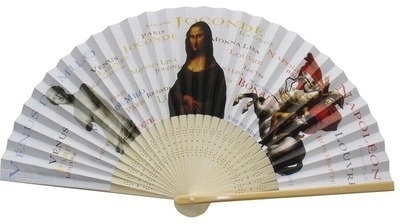 Click here to see our gallery of promotional fans.